In the world of Harry Potter, no two wands are alike. Wandmakers don't take a one-size-fits-all approach with their creations, using varying materials to drum up wands of all different kinds of unique appearances to serve as conduits for the magic of young witches and wizards. This most intricate corner of the wizarding world will be the focus of a new book from Insight Editions: Harry Potter: The Wand Collection by Monique Peterson. The book will provide an exhaustive look at the various wand designs from the film. 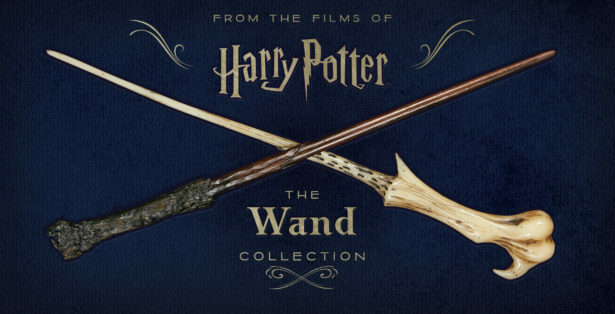 If you've ever drooled over the wand replicas in The Noble Collection catalog, you have an idea of how many there are. These pages will give you detailed profiles of the wands with stats, photos, and all the intel you need. You'll even get to go behind-the-scenes with concept artists and prop makers who worked on the wands for the Harry Potter films. And hey, we have an exclusive look at one of the wands featured in the book. Please gaze upon Professor McGonagall's elegant, understated wand—be sure to click to enlarge the image and text. Harry Potter: The Wand Collection will be available to purchase in November. Remember: you'll have to use muggle money, not knuts and sickles. Hop aboard a broom and fly to the gallery below to see more peeks from the book, including wands belonging to Harry, Ron (he has a few of them), and Voldemort. Will you be adding The Wand Collection to your to-read list? Let me know in the comments. If so, I expect a five-scroll report after you've studied every page. Harry Potter stars take the patronus quiz. Sorting with Harry Potter bath bombs.